Major League Baseball 125th Anniversary embroidered commemorative cap issued in 1994 autographed on the bill in silver paint by the late, legendary New York Yankees catcher Yogi Berra. 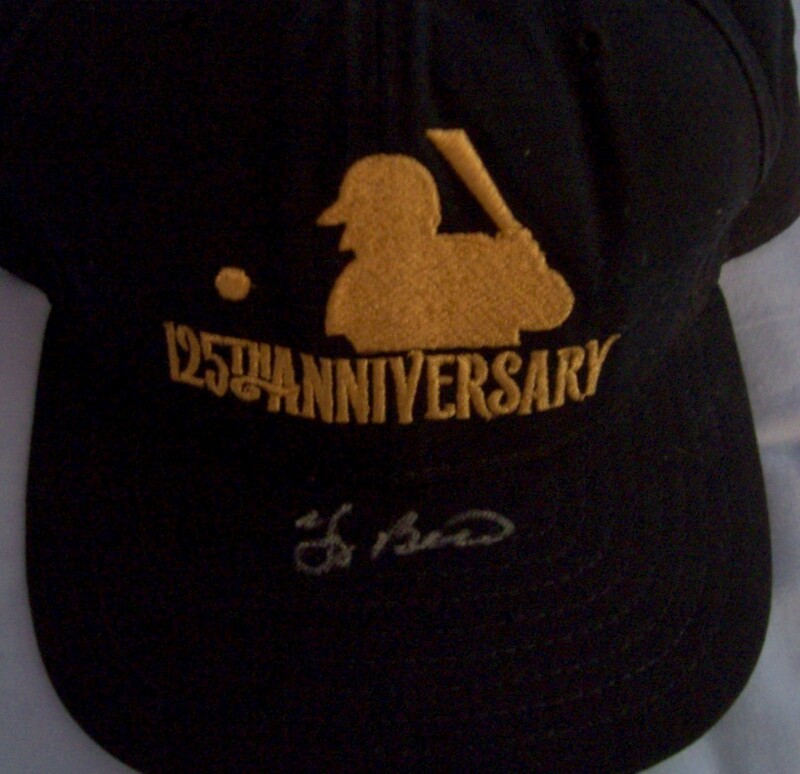 Obtained in person at Bob Hope Chrysler Classic celebrity golf tournament many years ago. With certificate of authenticity from AutographsForSale.com. ONLY ONE AVAILABLE FOR SALE.